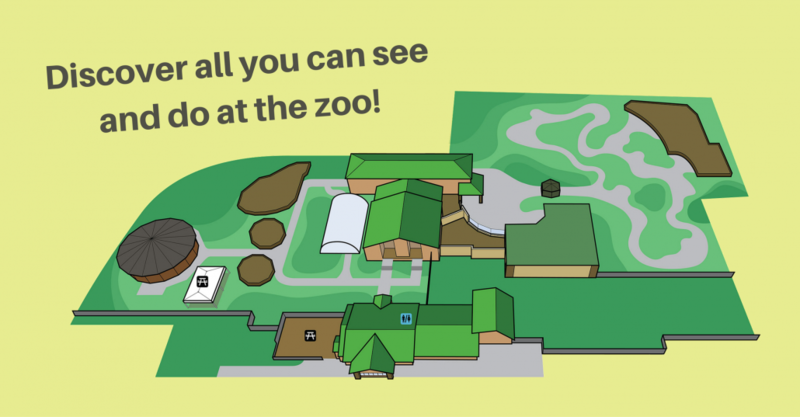 Click here to download or print our map for easy viewing during your visit! 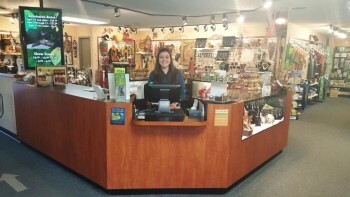 Admissions desk, restrooms, and the Natural Selections Gift Shop are located here. 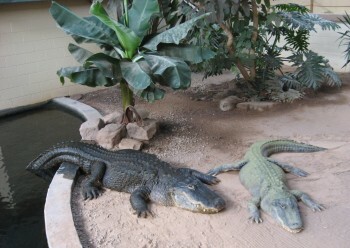 Visit with Rocky & Adrian, our two American Alligators. 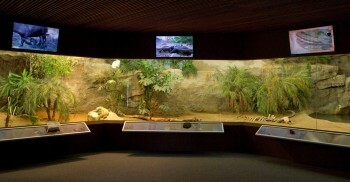 Home to over 40 species of reptiles and amphibians. 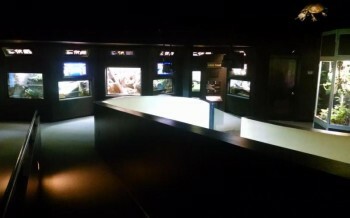 Experience beautiful budgies in flight with this immersive exhibit! 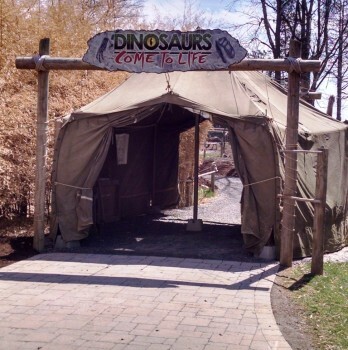 See life-size animatronic dinosaurs roar, spit, and bellow as you trek through this exciting educational exhibit! 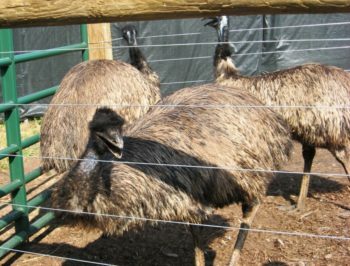 Feed these friendly birds for just $.50! 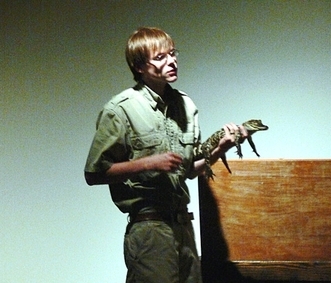 Al & Henry get to play here when it’s nice outside, and so do our Komodo dragons (just not at the same time). 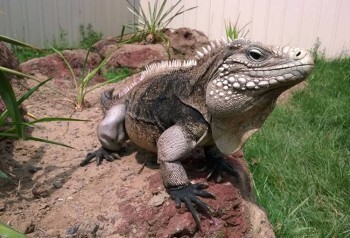 During warmer months, you can feed these little guys for just $.50! 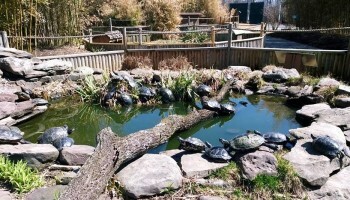 Pack a lunch and enjoy a nice picnic at the zoo! When not in use by scheduled field trips and other large groups, this is a great place to take a break from all the zoo excitement and enjoy a picnic lunch—especially if it starts to rain!